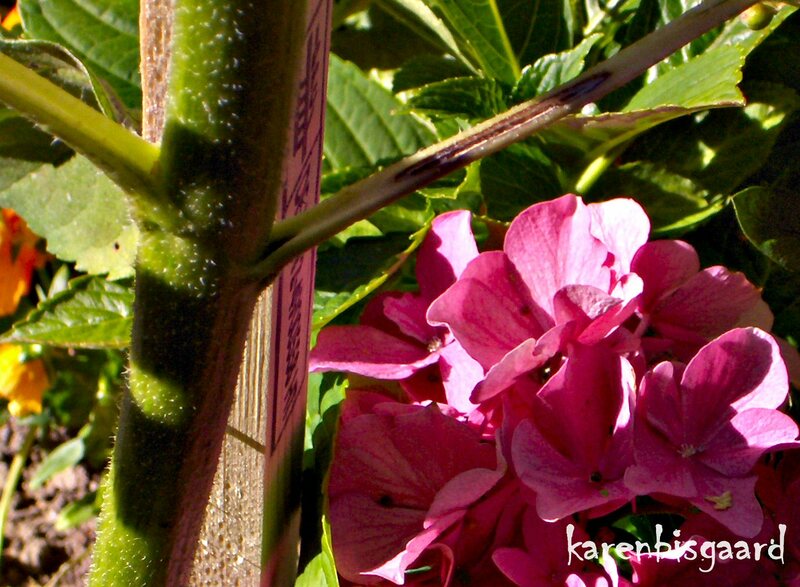 Karen`s Nature Photography: Sunflower Supported by Pole With Print Next to Hydrangea Flowers. 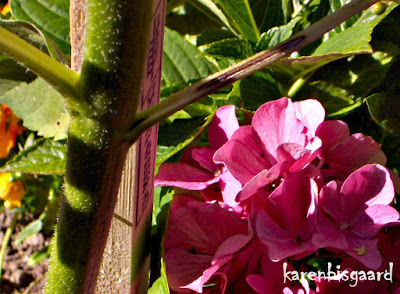 Sunflower Supported by Pole With Print Next to Hydrangea Flowers. Solsikke støttet af påtrykt pæl ved siden af hortensia blomst.